Tourists walking around the Gangnam area will easily notice a single building standing taller than the rest; this silver monolith is none other than Lotte World Tower. For years, Lotte World amusement park has been a popular attraction among locals and tourists alike. With the construction of Lotte World Tower & Mall, the area has become a paradise for all things entertainment and culture. 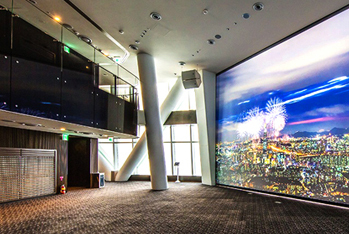 The 123-story tower includes shops, theaters, offices, and a hotel, as well as the 555 meter-high observatory Seoul Sky, opened on April 3, 2017. 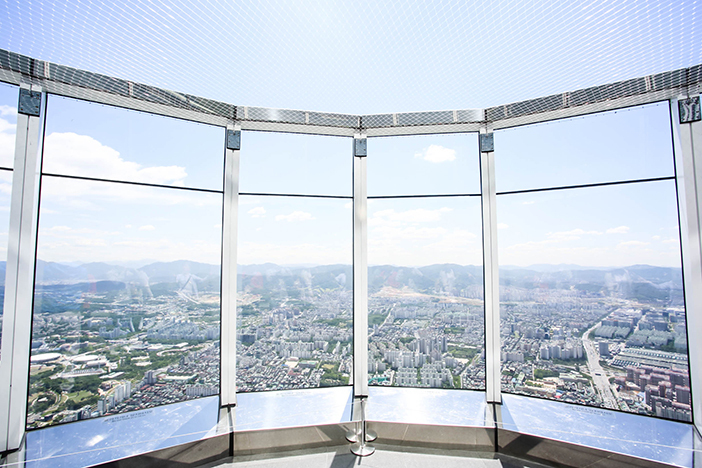 There are many observatories in the city, but none gives quite the same experience as what can be found at Seoul Sky. Even Seoulites are taking the ride up in the Sky Shuttle to enjoy the outstanding views of the city and the feeling of walking on clouds. To make the most out of your visit, follow our helpful guide! 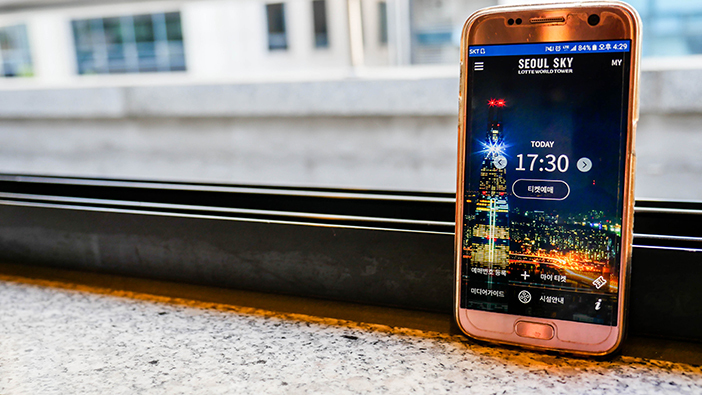 The Seoul Sky application is the perfect guide for your trip from the very start. Users can easily make ticket reservations through the app as well as read explanations in foreign languages (Korean, English, Japanese, and Chinese available) about the various programs available within Seoul Sky. To go up, one must go down; at least, that’s how it works at Lotte World Tower, as the entrance to Seoul Sky is on basement level 1. Despite being located underground, this space gives off the vibe of being in a much more open area, thanks to the large screens installed on the walls and ceiling. While waiting for your ride up, enjoy the show of Korea’s history, culture, and representative heritage sites. When you finally make it to the elevator, aptly named Sky Shuttle, the one-minute trip up to the 118 floor will pass in no time as you enjoy the media wall display. This show features Korea’s beauty through nature and nightscapes, as well as exciting festival scenes. Seoul Sky provides a view of the entire city. The observatory starts from floor 117, but the real excitement comes from the Sky Deck, located on floor 118. 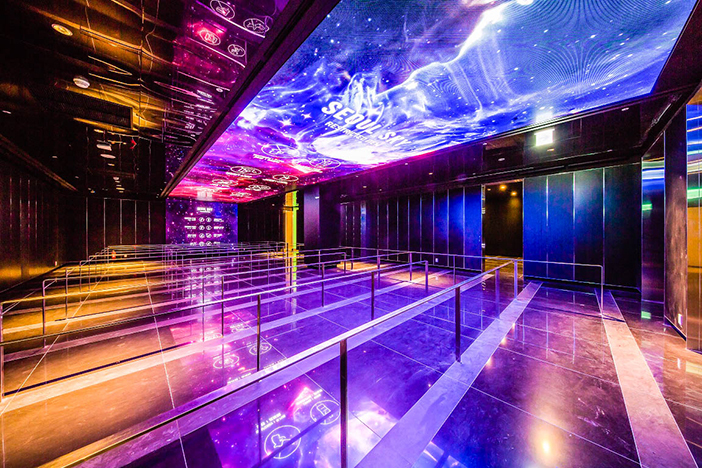 Recorded in the Guinness World Records as being the “World’s Highest Glass-floored Observatory,” the Sky Deck is a mix of exciting and scary, as the floor alternates between being opaque and transparent right beneath your feet! The Sky Terrace on the 120 floor is an outdoor observatory and the closest one can get to the sky. With an open top, this glass enclosure allows one to enjoy the refreshing breeze while taking in the view. The top floor of Seoul Sky holds 123 Lounge, the perfect spot for a rest over a glass of wine or champagne and a small meal. 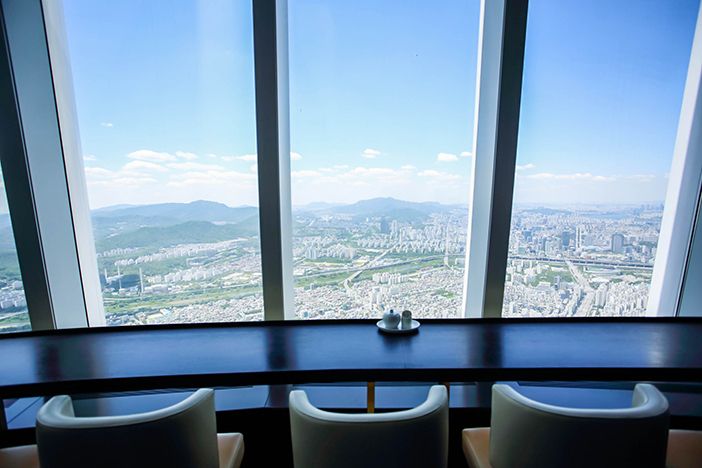 The view out of the windows here provides a panorama of Seoul unlike any other. 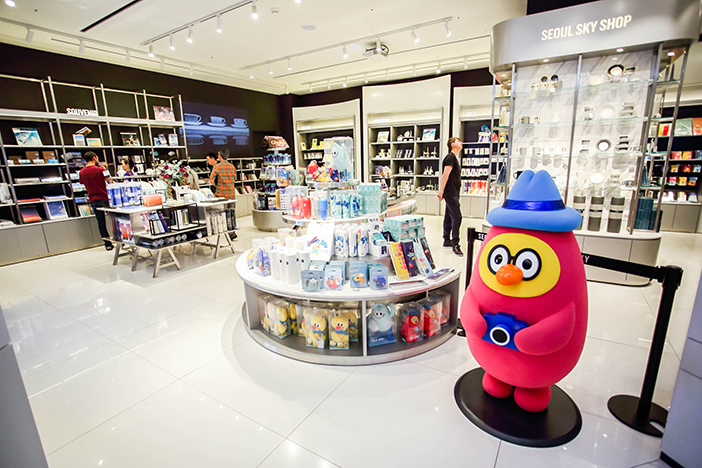 Before heading down from your trip to the clouds, be sure to stop at Seoul Sky Shop, located on the 121 floor. This gift shop has all sorts of merchandise featuring Lotte World Tower, including postcards, diaries, and miniatures. Any of these items would make for a great souvenir. However, the most popular item by far is the snow-globe featuring a tiny Lotte World Tower. There is also a gift shop in the basement level 1, so you can purchase gifts even if you don’t visit the observatory. The excitement of Seoul Sky doesn’t end with the observatory facilities. Learn how you can take a group photo with ease and where to find a special treat only available here! For days when the view outside the windows proves lacking due to bad weather, be sure to stop by Sky Theater! 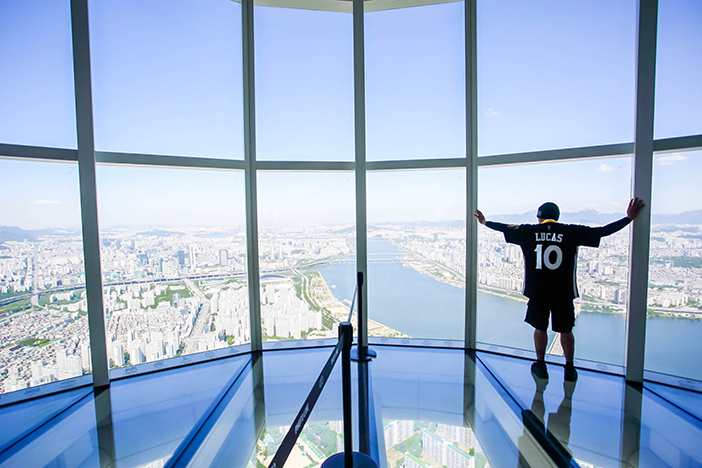 Using time-lapse technology, visitors can enjoy clear views of Seoul no matter when they visit. 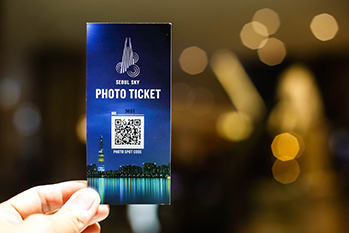 If you pick up a photo ticket from the entrance to Seoul Sky, you can use the photo zones around Seoul Sky. Simply show your ticket to the staff working at the designated photo spots or scan the QR code on your ticket at the self-photo kiosks to take a picture. The photos taken at these photo spots, located at B1, 117F, 118F and 120F, can be printed for an additional fee. 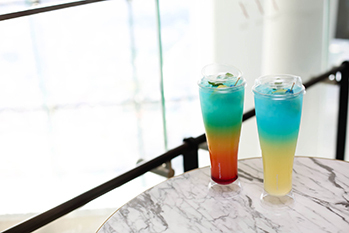 Sky Juice, only available at the café within Seoul Sky, is a must! Fruit juices in vibrant colors are stacked on each other like the floors of Lotte World Tower, and topped with blue to represent the sky above it all. There are many places near Seoul Sky that are perfect to look around, including Songpa Naru Park and Olympic Park. We recommend visiting Seoul Sky between 5 and 7 in the evening, so you can enjoy a day view and a nightscape, with the sunset in between. If you make the most of your time before heading up, you can enjoy a full day’s worth of entertainment and leisure all in one area. 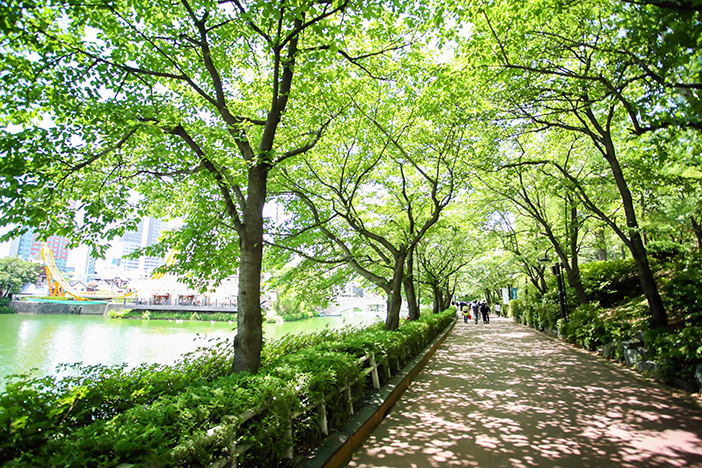 Songpa Naru Park takes up a vast 2.5-kilometer area around Seokchonhosu Lake. The trails around the two sections of the lake make for enjoyable walks with views of Lotte World Magic Island and Lotte World Tower standing above all. While the west lake, featuring Lotte World’s Magic Island, is vibrant and active, the east lake appears quiet and calm, making it a popular date course. 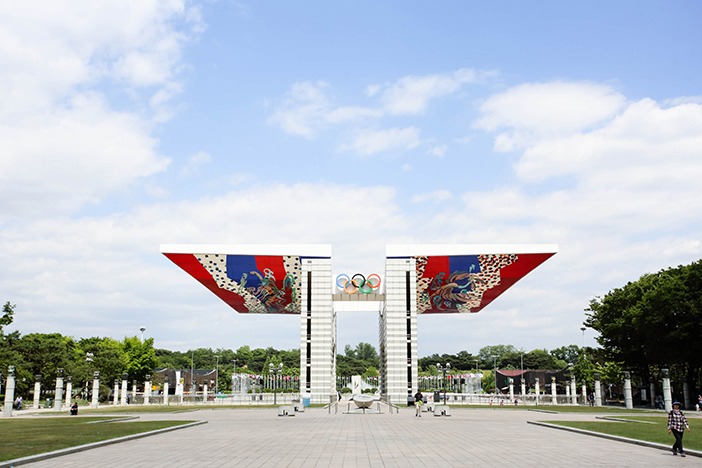 Olympic Park was created for the 1988 Seoul Olympic Games. Even after 30 years, the international competition-sized sports facilities such as tennis courts and swimming pools continue to be used for competitions and events. The park is extremely vast, taking at least three hours to walk the entire park. Among the many areas within Olympic Park, the best place for great photos is definitely One Tree Hill, featuring a solitary tree within a grassy field. * This column was last updated in March 2019, and therefore information may differ from what is presented here. We advise you to check details from the official website before visiting.